*This post is brought to you by GE Lighting. 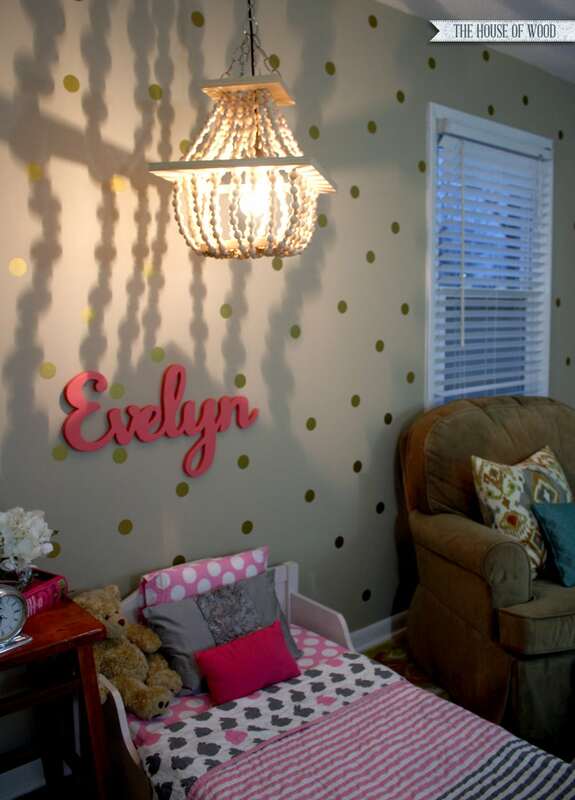 Hanging a statement light fixture in my little girl’s room is such a luxury, I know. 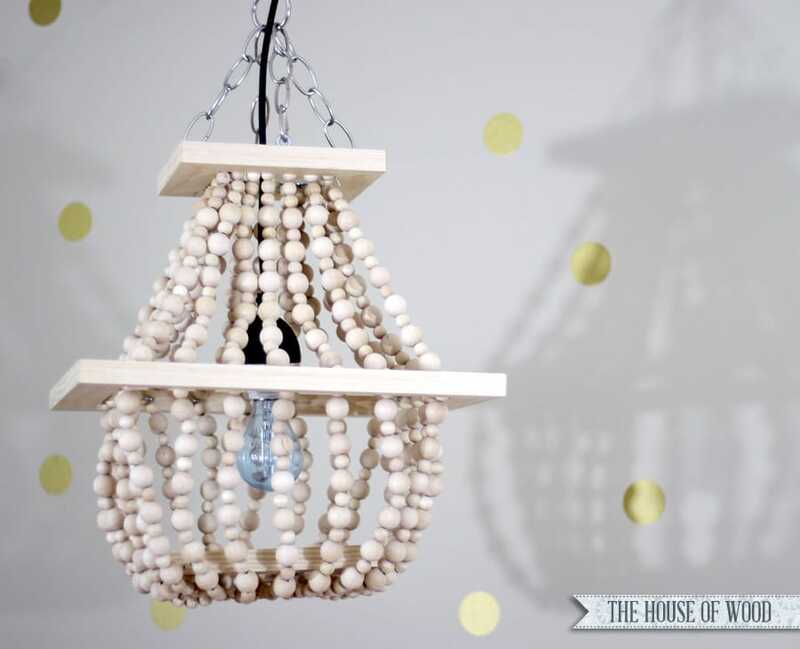 But what’s more fun and adorable than having your very own princess pendant light? 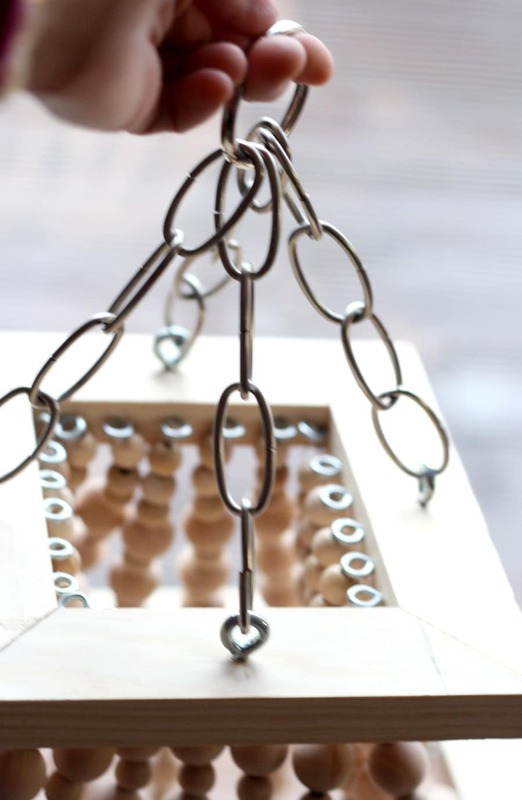 So I did some window-shopping online and stumbled across some amazing beaded chandeliers and pendant lights, but pretty much swallowed my tongue over the cost. Of course, in true DIY form, I balked at the price and thought, “I could totally make that!” So the wheels started turning. And so did the ‘Pinteresting’ (anyone else use Pinterest as their own personal Google?). Well, whadya know. 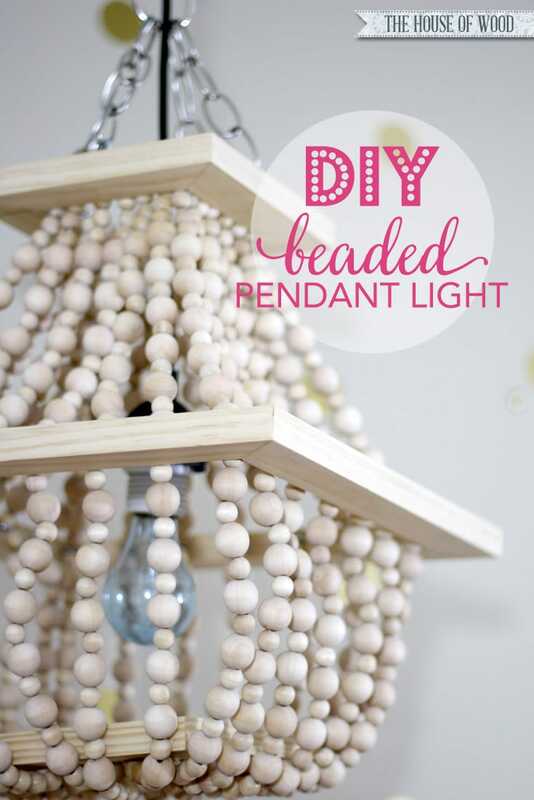 Turns out DIY beaded light fixtures are like, a thing. I can’t tell you how relieved I was to discover I didn’t have to reinvent the wheel. 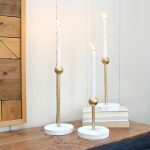 These are a few excellent tutorials that I found super helpful: House and Home, Gus & Lula, The Chronicles of Home, and The Lemonista. Adorable, right? Alrighty then, let’s get started! I quickly drew up a plan and got to work. Here’s how it all shook out for me. 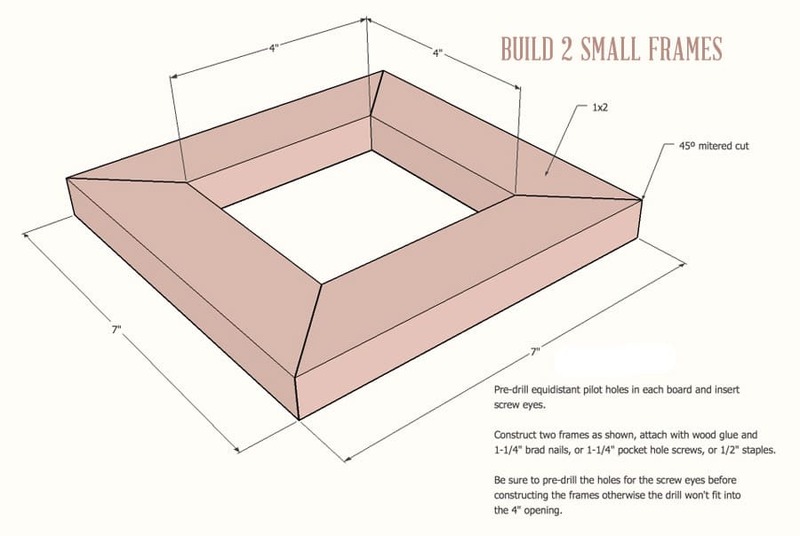 First, I built the large, center frame. It measures 14″ square. 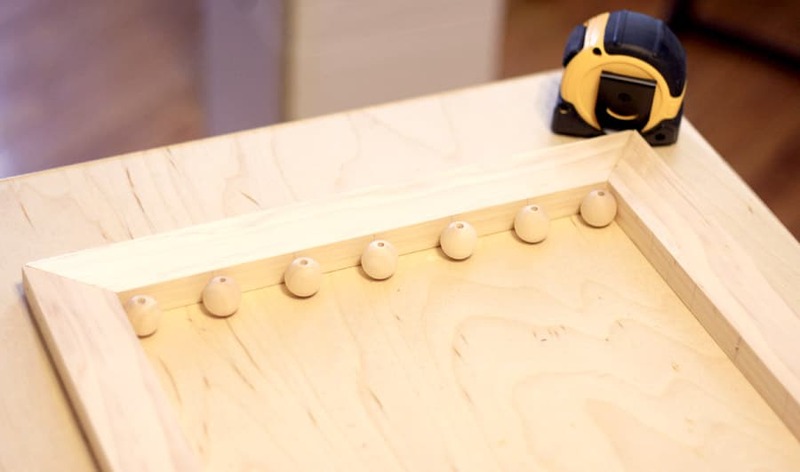 I glued and clamped the pieces together and used 1-1/4″ brad nails to attach them. Because I’m a visual person (and also not so good at The Maths, as I call it), I eyeballed the distance between the beads and laid them in place to figure out how far apart I wanted them. Then I pre-drilled the pilot holes for the screw eyes. 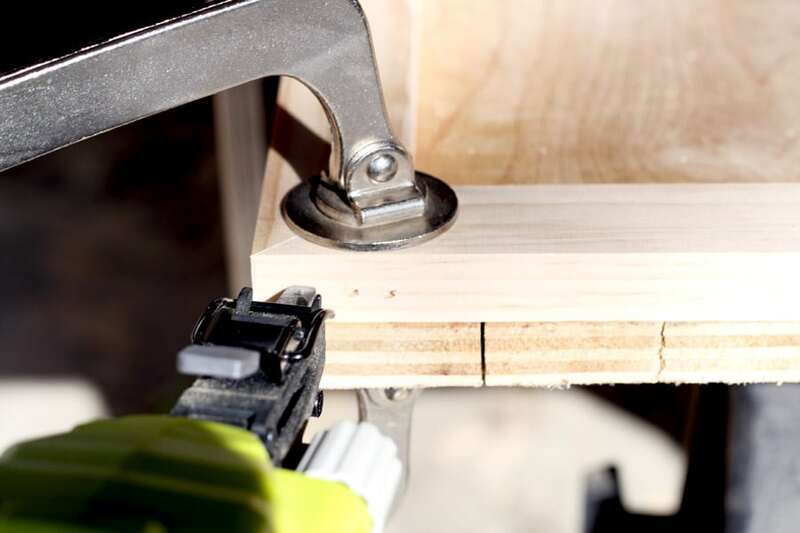 Next I cut 8-1×2 boards at 7″ long, mitering the ends, then drilled pilot holes for the screw eyes and screwed them in. 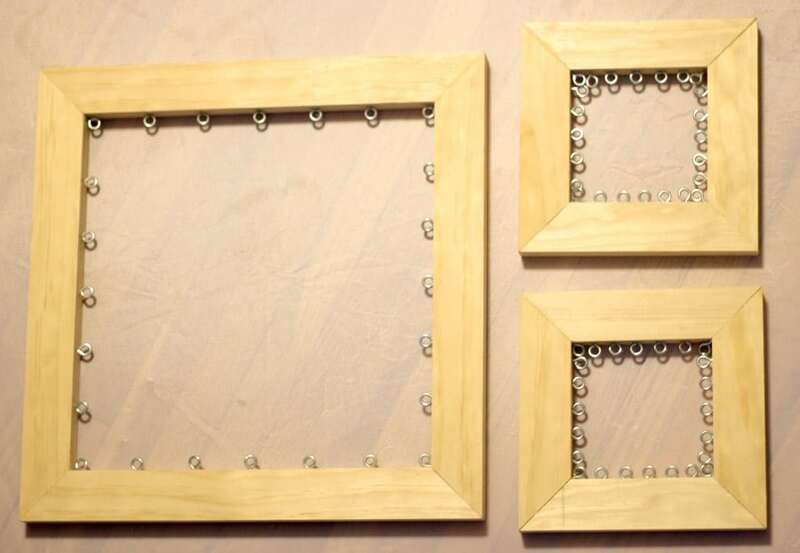 I constructed the 2 small frames, attaching with wood glue and 1-1/4″ brad nails. 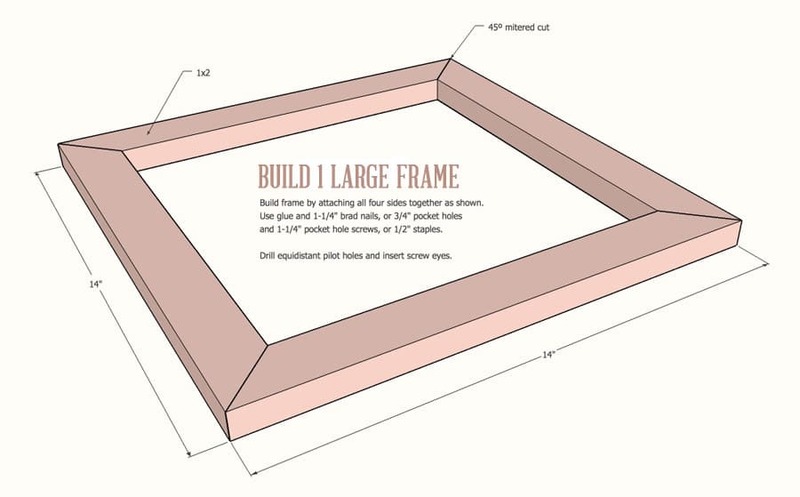 Be sure to pre-drill the screw eye holes and insert them before constructing the frame, otherwise the drill won’t fit in the 4″ opening. There ya go! The framework for this hanging light fixture is done. Now onto the tedious part: The Stringing of the Beads. Not to be confused with The Running of the Bulls. Although I do consider this task to be quite a marathon event, so suit up, Prefontaine. Using 28-gauge wire, I strung the beads onto the frames. 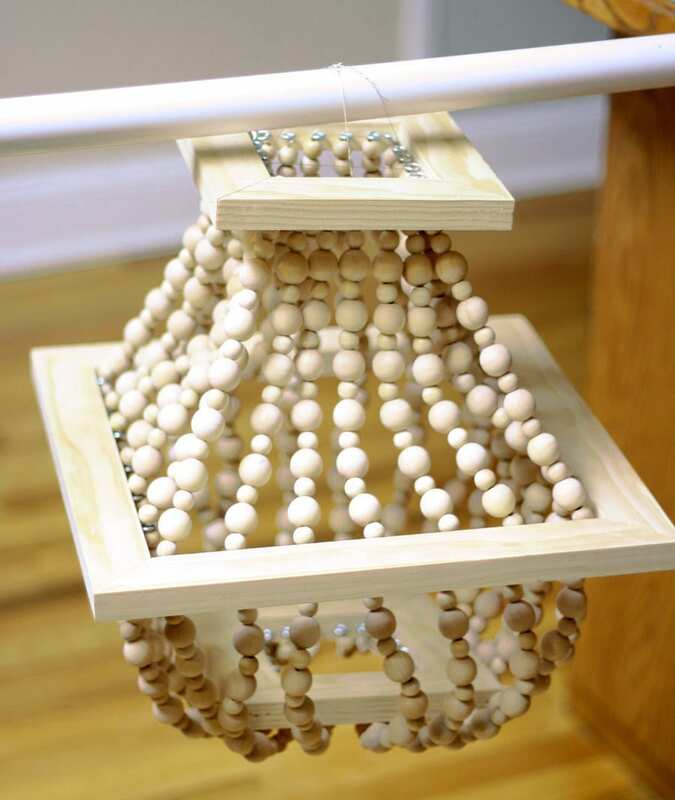 Each strand has 6 large beads for each tier, with a small bead in between them. I started each strand by stringing 3 small beads, then alternated large and small, ending with 5 small beads at the very end. Congratulations. I’m a hundred years old at the completion of this project. Then I used the remaining chain and hung the whole thing from the ceiling, dropping the mini light pendant kit into the center of the beaded fixture. 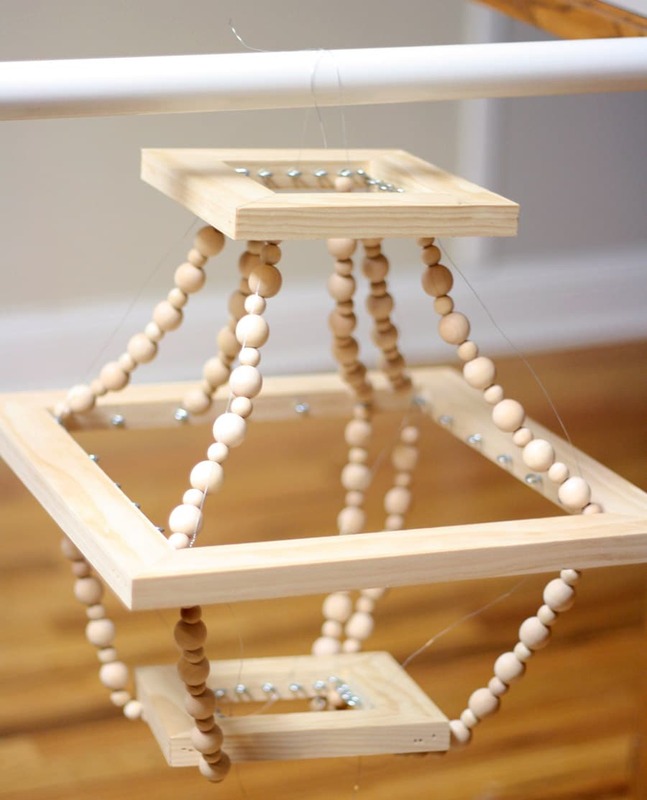 The pendant light isn’t attached to the beaded frames – it’s simply hanging in the center of it, with the wire weaved around the chain to keep it in place. Okay, so let’s talk actual light. With all my tedious work, finding the right light bulbs to light the room was of the utmost importance. I mean, after a hundred years of hard work, I wasn’t about to drop the ball now. Amiright or amiright? 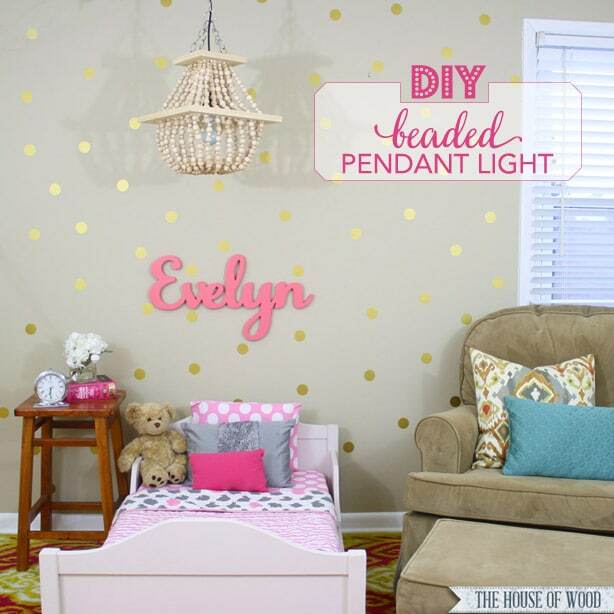 I changed out all the bulbs in my daughter’s room with GE reveal® light bulbs, as well as popped one into her new DIY beaded light fixture. Oh my goodness. You guys. What a breath of fresh air! I absolutely LOVE the clean, white light that comes from these GE reveal® bulbs. It’s a cool-toned light that makes the whole space look clean and bright. I totally heard the “Hallelujah Chorus” when I flipped the switch. I am not even kidding. It brings the whole room to life. I just love it. And this is what the room looks like with just the pendant light on. How fun are those shadows that the light casts on the walls? Answer: Exactly one ton of fun. 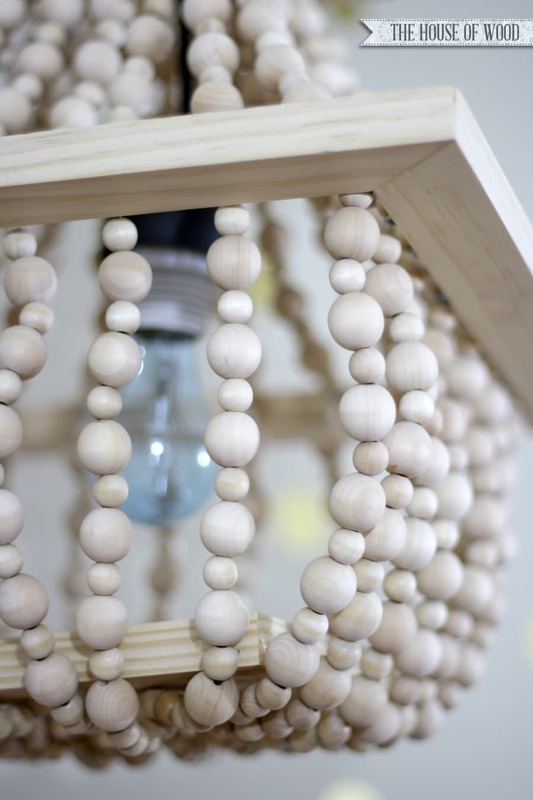 What do you think of my – I mean, my daughter’s new DIY beaded light fixture? I am in love with it and so is she! And the GE reveal® light bulbs illuminate the whole room with clean, beautiful light; it’s like a whole room makeover! 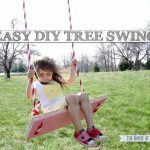 As always, thanks for dropping by – I would love for you to pin and share this project! In the comments below, tell me what you want to reveal in your home with GE reveal® lighting for a chance to win a $100 Visa gift card to complete your own #100reveal! Sweepstakes Rules: No duplicate comments. You may receive (2) total entries by selecting from the following entry methods: 1. Leave a comment in response to the sweepstakes prompt on this post 2. Tweet (public message) about this promotion using #100reveal; including exactly the following unique term in your tweet message: “#SweepstakesEntry”; and leave the URL to that tweet in a comment on this post 3. Blog about this promotion using #100reveal, including a disclosure that you are receiving a sweepstakes entry in exchange for writing the blog post, and leave the URL to that post in a comment on this post 4. For those with no Twitter or blog, read the official rules to learn about an alternate form of entry. This giveaway is open to US Residents age 18 or older. Winners will be selected via random draw, and will be notified by e-mail. The notification email will come directly from BlogHer via the sweeps@blogher email address. You will have 72 hours to respond; otherwise a new winner will be selected. The Official Rules are available here. This sweepstakes runs from 1/19/2015 – 3/1/2015. 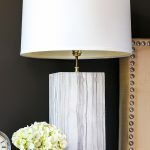 Be sure to visit the GE reveal® Lighting brand page on BlogHer.com where you can read other bloggers’ posts! *Big thanks to GE reveal® for sponsoring this post. 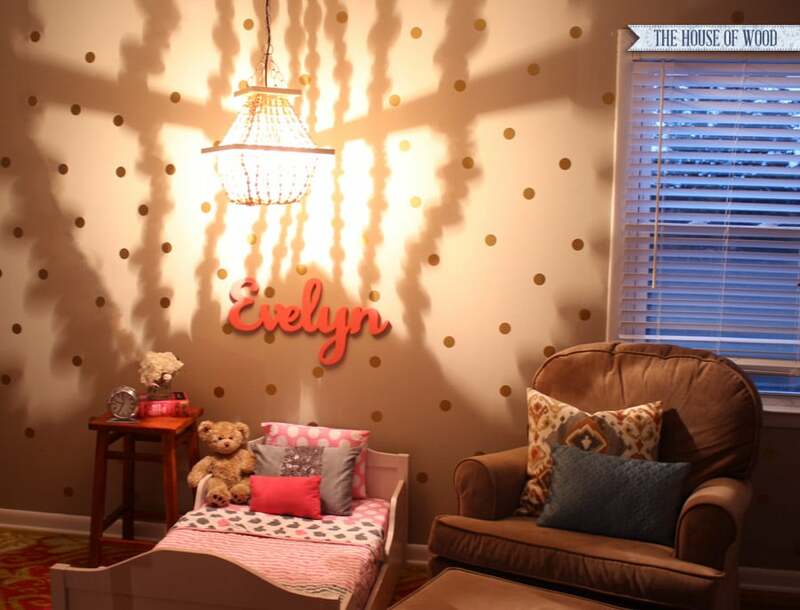 I received complimentary GE reveal® Light Bulbs and compensation for featuring this project. All efforts followed by happy dances and professions of undying love are my own. I would like to reveal our homeschool area so my kids can see what they’re reading better. My kitchen is too dark! I want to reveal a lighter brighter kitchen so I can see better when cooking! I want to reveal my living room, especially when I am playing board games with my family. I would love to reveal our kitchenette area. 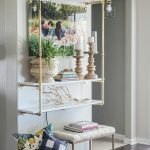 I would love to reveal my family photo’s better in my home with GE reveal lighting. I want to reveal my plate of food in the dining room so I can see what I am eating! I need light!!! The shining, smiley faces of my husband and son. I want to reveal comfort and our family’s personality! I would love to have better light in my (eat in) kitchen. It would make meals so much nicer! I would like to reveal my living room. It has one lamp in there and makes it very dreary. I want new flooring in the kitchen or possibly new appliances.. I LOVE this beaded chandelier thing!! i want to reveal my basement. i can’t see a thing down there. I would like to reveal our living room with GE Reveal lighting we have some dark areas that need more light. 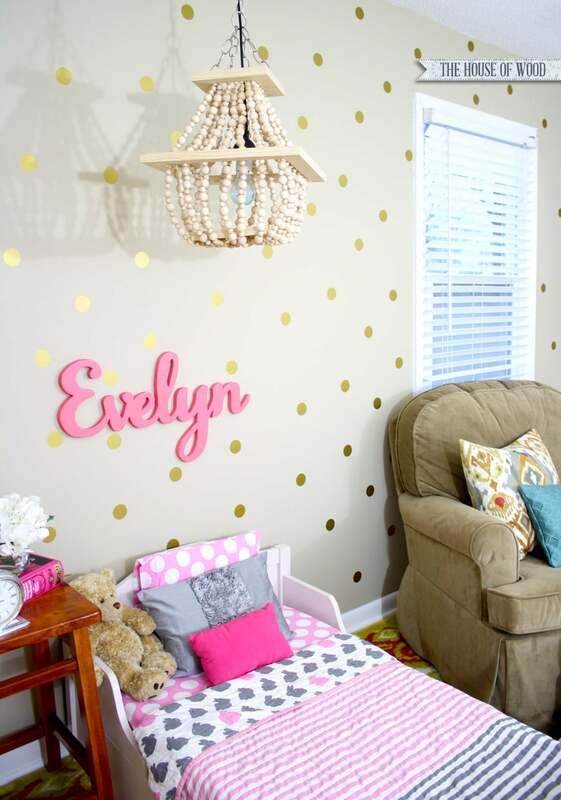 I would love to lighten up the playroom area. 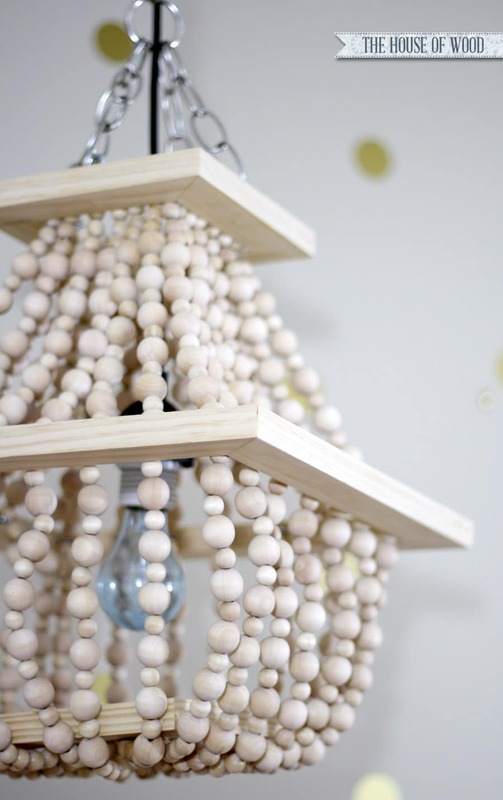 even make a cute chandelier in there! Actually, my whole house could use Reveal – it’s so dark! But I’d start with the den. I would like to reveal the family room with better lighting, we spend so much time reading and watching films there. I’d like to reveal more of my desk space in the computer room. I would love some better lighting in my closet!! I would like to reveal the family room with better lighting so I can read. oops! I forgot to answer the prompt – I would love to reveal some better lighting in my living room! I would like more lighting in the kitchen which would reveal more light when cooking at night. I would not limit it to one room, I want the bulbs in the whole house! I would like to reveal my living room. So adorable! I need to try this! I need more lgihting throughout our shady home. Our front room — it’s so dark! I want to reveal my kitchen. My DIY wine cork, cork board! I would like to reveal my home office so it would be easy to see the computer screen and read things. I would love to reveal our bathroom vanity lights. So 90s and so overbearing. 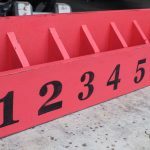 I’m adding this to my DIY board. I’m looking to update our kitchen/dining room and want to add a breakfast nook. This fixture would be perfect!!! I would love to #100reveal the new healthy cooking I am doing for me and my family and the new paint job we did! 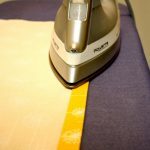 I want to reveal my sewing desk in basement! It’s dark down there! I need some light! I would like to reveal more light in my living room so that I could see what I am reading. I want to reveal the awesome textures in my living room. I would love to reveal the beauty of an uncluttered room. A place for everything, and everything in its place, I say. I would like to reveal my living room–I don’t have nearly enough light in there! I would like to reveal what’s on our dinner plates! Our dining room has horrible lighting. I’d like to reveal the area near the fireplace in the living room since it’s pretty dark and not well lighted and it’s hard to see the pictures/artwork around there when the sun isn’t lighting up the room. I want to reveal my too-dark family room! I love doing projects and I love working with anything to be creative. Love the light fixture. It came out really nice. I’d like to reveal our family room, especially where my desk is located. At night, I find that the light is very bad in the corner the desk is in and I can’t see well doing work at the desk. I often spend hours at my home computer, so anything that reduces eye strain is welcomed. I’d like to reveal more light in my kitchen space! I’d like to reveal a dark corner of my living room. Thanks. i would like to reveal my family room. I’d like to reveal my scrapbooking room to make it more enjoyable. I would love to reveal better lighting for my knitting nook. It is too dark and I’m straining my eyes while I knit. I’d like to reveal my favorite picture of my little boy! I want to reveal the dining area! I want to reveal my loft area that overlooks my living room. I want to reveal my new beautiful bed linens in my bedroom. I would reveal my living room. It’s a little too dark in that room. I need some reveal in the bathroom. The lighting in there stinks! I want to Reveal under kitchen cabinet lights. I want to reveal my large basement. I want to reveal my Kitchen!! I want to reveal the super colors in our wall paintings. My daughter’s room is too dark. I need to reveal a better place for her to read/study. I would like to reveal my entrance. It is dark and univiting. I would like to reveal my family room, this is where we play our family night board games and we could really use better lighting. My bedroom because its to dark to read. We could use better lighting for homeschooling. I would love to reveal the kitchen and dining room! I spend tons of time cooking and sometimes it gets dark, especially at night. We could use some better lighting! I absolutely LOVE the light fixture!! 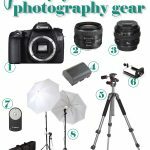 I would love to reveal my living room – it’s way too dark in there! I would love to reveal my bedroom ! There is only one light source, so I don’t see anything at night. I would love to have a nice and natural light. I’d love to reveal my bedroom! My lighting is so old-fashioned. I’d like to reveal some warmth in our house during these dark winter months! I would love to reveal our backroom, AKA- the “Man Cave”… it is dark! i want to reveal my new bed linens! I have a lot of artwork that I would like better lighting to showcase it’s beauty. 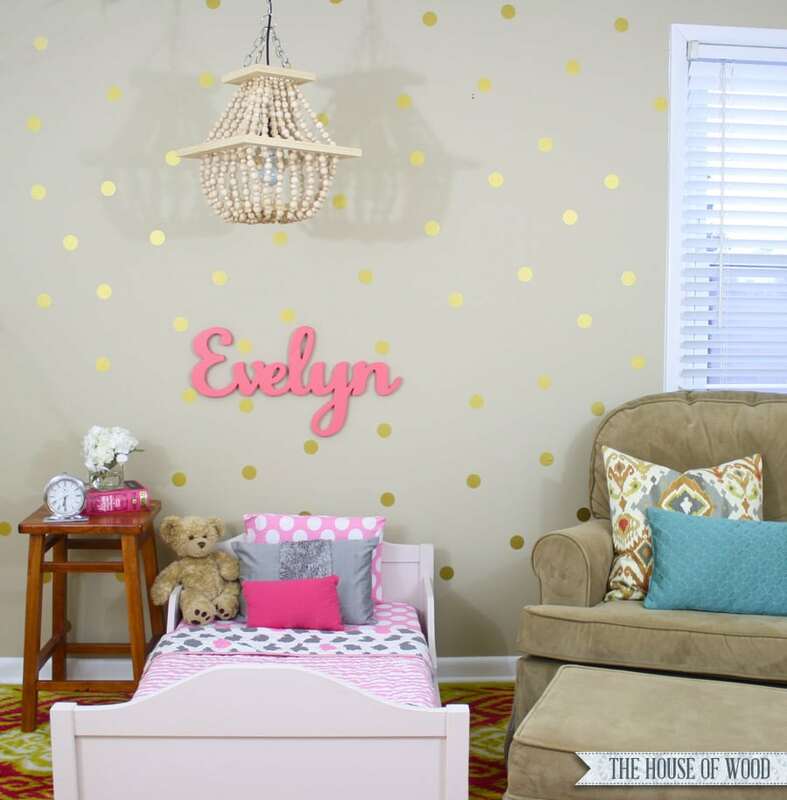 I want to REVEAL an amazing space for our family to come visit… our guest bedroom! I would like to reveal a clean house…not sure if lightbulbs will help with that or not..but hey….. I want to reveal our master bath. I always put makeup on in there and the lighting is just not up to par. Great project! I love the look! I would like to reveal my kitchen and pantry a bit more. There is not a ton of natural light in these rooms. I’d like to reveal the dining room since it is the prettiest. I would love to reveal my living room where we spend time as a family in the evenings. My living room needs better lightning! I want to reveal some better lighting in our living room as it’s not as bright as it should be for reading at night. I want to reveal a better light in my kitchen so I can read the ingredients for my recipes. We need better lighting in our living room. I love your project and can’t wait to start on mine! Thank you! It would be good to reveal the hall closet with better lighting so I could find things more easily. I want to reveal my home office area, it’s too dark the way it is right now. I want to Reveal a corner in our family room that is too dark. I would like to fix and install a new lighting system in my living room. I would like to reveal my kitchen workspace so I can see what I’m doing. I would love to reveal my bathroom vanity better with GE. I would like to reveal my home office, there’s only one window and does not have very good overhead lighting! I want to reveal my bedroom. I would reveal an awesome drawing my daughter did that I had framed and is on the wall. I’d like to reveal my dining room. Well-detailed project. I hope it was appreciated. What an interesting chandelier, I love the shadows it catches. I would love to reveal our living room. We do a lot of puzzles on the table and you really need good lighting for that. We don’t often do them at night because it’s a little harder to see. I’ll be looking into these bulbs. And I love their shapes. I want to reveal the beautiful artwork on my walls. I want to reveal my bedroom, it has low light and seems dreary most of the time. 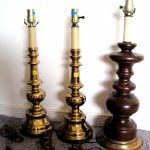 A light in the style of the one shown would be very attractive in my granddaughter’s room, and would certainly reveal it much more clearly. Right now it is rather dark. I’d love to reveal my bedroom, we don’t have much light going on there at all! I would like to reveal my kitchen. It is not as bright as I would like. In my home, I’d love GE to reveal the artwork over my fireplace. My niece made it from woodcuttings and bright, primary colors. I’m so proud of her, and her creation. I forgot to include #100reveal in my first tweet, and hope you will accept this second attempt. Thanks! I want to reveal my counter tops in my kitchen. Under the cabinet lighting is so needed for us! They are dark. My husband bought the portable stick up ones, but they keep falling off. I’d like to reveal our kitchen table so the teens will use it to eat instead of the couch. I would love to reveal our dark drab kitchen. I would like to reveal my bathroom it needs some light. Neat light that you made. My kitchen can be a bit dark and these lights will help make it better. I would like to install this in my bedroom for a night lighting situation. I want to reveal the beautiful artwork in my home. I want to reveal the true colors of my bedroom. I want to reveal the pottery I made! Wow! This was an amazing project! I just got new wallpaper to put up in my office – but I’m afraid there won’t be enough lighting to show it off – GE might have to come to the rescue on this! I want to reveal my bedroom! I want to reveal the fabulous look of our bedroom. I want to reveal my bedroom because it’s always so dark! I would reveal our family room, which always seems too dim. I’m totally inspired by this! Thanks for the great idea.